Until recently, opportunities for women in science have been relatively few. The Geological Society of London — perhaps the most important organization for geologists and paleontologists in the early 19th century — didn't admit any women, not even as members' guests. Still, women have made significant contributions to the field. This tongue-twister has a very real inspiration. The daughter of a working class English fossil collector, Mary Anning expanded her father's business after his untimely death left the family nearly destitute in the early 19th century. With an exceptional eye for fossils, she unearthed a number of spectacular finds from sediments that were deposited during the Jurassic Period. Many of Anning's grateful customers were upper class English geologists. When hard financial times dropped Anning's sales around 1830, one of those geologists, Henry De la Beche, drew a cartoon designed to inspire interest in her finds. Named Dura antiquior ("an earlier Dorset"), this lively depiction was converted to a lithograph and sold to many members of the Geological Society of London. 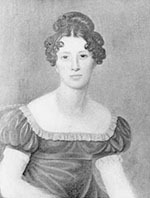 A commercial collector, Anning was not considered a scientist, although many scientists of the time admired her work. To learn more, see Mary Anning's biography. Born into a family of printers, educated by a landscape-paining stepfather, and operating a business with her mother in 17th-century Germany, Maria Sibylla Merian was an unusual woman. At the "advanced" age of 52, she traveled to Surinam, with a daughter and without a male chaperone. It was unheard of in 1699. But so was studying insect metamorphosis. To learn more, see Maria Sibylla Merian's biography. In the 1830s, Russian Czar Nicholas I bestowed honors on an Englishman, in recognition for the gentleman's impressive contributions to paleontology. There was just one problem. To learn more, see Etheldred Benett's biography. One day, as the story goes, Mary Ann Mantell accompanied her country doctor husband on a house call. While he visited his patient, she took a stroll down a country lane and found a tooth that she presented to her husband after he finished his visit. Whether this story is true can't be confirmed since Gideon Mantell later gave conflicting versions of the story. What is known is that the tooth in question led to the naming of Iguanodon, and Mary Ann collected a number of fossils for her husband. She also illustrated much of his work. The couple did not, however, live happily ever after; after 23 years of marriage, they separated. To learn more, see Gideon Mantell's biography. 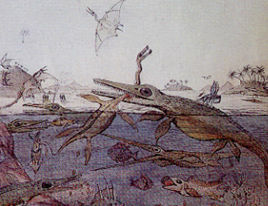 For over three decades, Amherst College professor Edward Hitchcock enhanced his lectures with visuals made by his wife: fossil skeletons, fleshed-out prehistoric animals, even technicolor geologic diagrams. To learn more, see Orra White Hitchcock's biography. Born in 1880, Marie Stopes became the first woman in Germany to earn a Ph.D. in botany, and the youngest person in Britain, at least at that time, to hold a doctorate. By her 23rd birthday, she had published two papers on fossil plants. Ahead of her time, Stopes became an ardent proponent of birth control. A product of the worst impulses of her time, she also became an ardent eugenicist — to the point that she nearly disowned her son for marrying a woman with myopia. The falling out with her son and daughter-in-law was just another chapter in a messy personal life. To learn more, see Marie Stopes's biography. Mary Nicol married Louis Leakey in the 1930s and spent much of the rest of her life digging fossils in the African bush. Success came slowly, and when it arrived, Louis Leakey often got most of the attention. 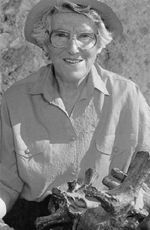 While her husband did the lecture circuit in Europe and the United States, Mary Leakey continued to dig. Over the years, her finds included Proconsul, Paranthropus boisei, Homo habilis and early hominid footprints known as the Laetoli footprints. 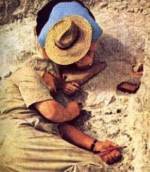 Here, Louis and Mary (whose face is covered by her hat) carefully excavate bone fragments of the Zinjanthropus skull. To learn more, see Mary Leakey's biography. 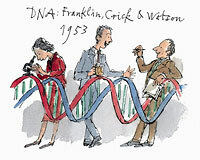 "The Best Home for a Feminist Was in Another Person's Lab"
Years after winning the Nobel Prize, James Watson published an account of his time puzzling out the structure of DNA with Francis Crick. In The Double Helix , Watson slammed "Rosy," an uppity woman he found shrewish and drab. But if Watson and Crick hadn't gotten an unauthorized peek at Rosy's unpublished data, history might have played out very differently. To learn more, see Rosalind Franklin's biography. As Britain's Prime Minister, Margaret Thatcher occasionally heard from her old mentor who had taught her chemistry. Years earlier, Dorothy Hodgkin's own mentor, J.D. Bernal, joked that Hodgkin would have an easier time winning the Nobel Prize than gaining entry to the Royal Society. But she did both. To learn more, see Dorothy Hodgkin's biography. The United States has a reputation for offering the greatest equality to men and women, yet several years before the U.S. women's movement, a woman from Poland was successfully leading a series of paleontological excavations in Mongolia. 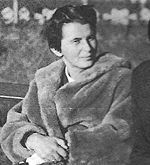 To learn more, see Zofia Kielan-Jaworowska's biography. Dorothy Garrod was actually an archaeologist, but among the thousands of prehistoric artifacts she collected and examined were remains of ancient humans, including a Neanderthal child she nicknamed Abel. When Garrod began her career, prehistoric archaeology revolved around France. Garrod took a global view, revolutionizing the field. To learn more, see Dorothy Garrod's biography. While preparing the doctoral dissertation that she completed in 1921, Ottilie ("Tilly") Edinger came across a natural brain cast. From then on, her specialty was fossil brains. 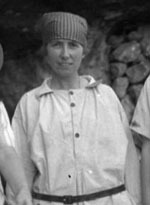 Edinger pursued the new field when women were rare in paleontology. The photo from the Society of Vertebrate Paleontology's charter meeting in 1940 featured 25 men and one woman, Edinger. In 1963, the became the society's first female president. To learn more, see Tilly Edinger's biography. "New Zealand Doesn't Have Dinosaurs"
Joan Wiffen started prospecting for fossils near her New Zealand home in the early 1970s. In 1975, she found a bone fragment that looked like a vertebra, but she couldn't positively identify it. That the bone might belong to a dinosaur didn't seem likely; conventional wisdom held that the country just didn't have dinosaurs. 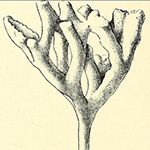 But when Wiffen spotted a similar bone on a paleontologist's office desk in Australia, conventional wisdom had to change. To learn more, see Joan Wiffen's biography.